FREE ADD-ON SERVICE FOR YOUR BLACKVUE COMPATIBLE MODELS! 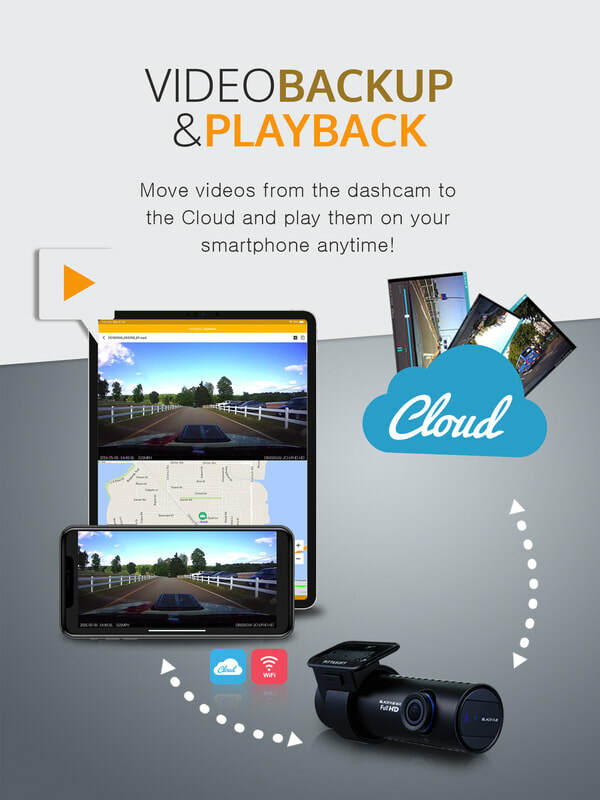 Premium Cloud dashcam with Dual Full HD @ 60fps, Night Vision, Format free, Built-in WiFi and GPS. ​The best dual-channel dashcam for commercial vehicle. Live View, Emergency Alarm, GPS Tracking, Two-way Voice Communication, Video Backup, Remote Video Playback and other endless possibilities in the future. 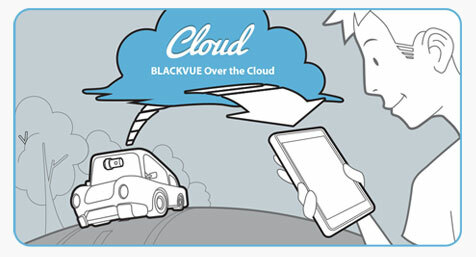 BlackVue Over the Cloud innovative features on your smartphone. PC viewer is now ready! ​Worried that your dashcam gets stolen? BlackVue Over the Cloud gives you alerts in case of impacts detected and lets you stream your BlackVue’s live footage from anywhere. But what if it is too late by the time you check your phone? What if someone stole your dashcam? Learn how to enable this feature in our blog article here. Updated: New DR900S series supports Live Auto-Upload too! A. 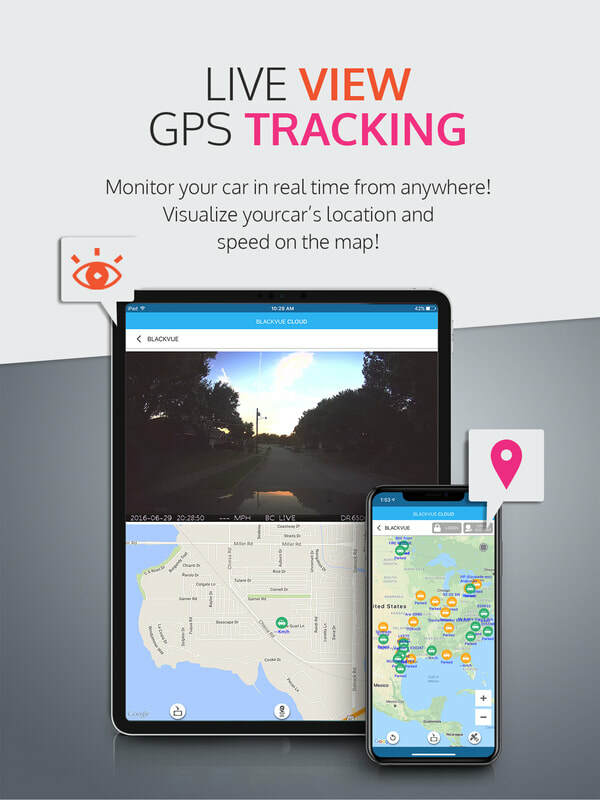 Individuals can connect to their car from anywhere, anytime, and be alerted whenever events occur (accident, disconnection of dashcam from the Cloud). 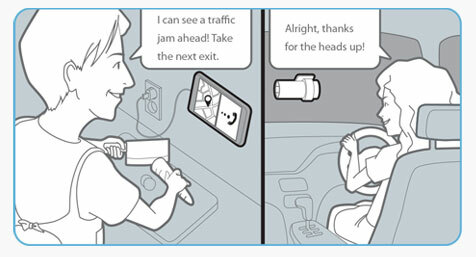 ​Go Live, hands on the wheel! The Mediacorp Subaru Car Challenge Live with BlackVue. Watch the highlights of this event from here. Power Breakfast Tompang with JK & Mike from Power 98FM. 1. How to connect the BlackVue to a WiFi hotspot so that me and my car stays connected? 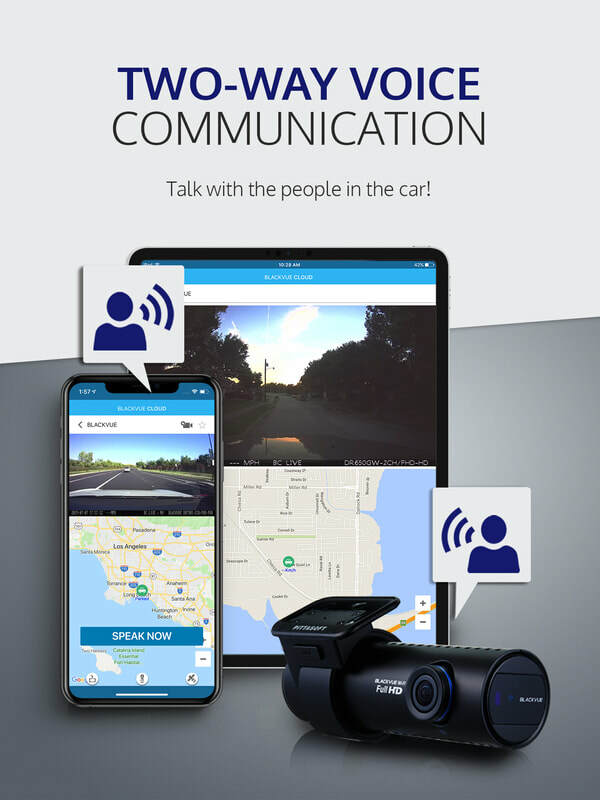 The BlackVue cloud series dashcams (DR900S/ DR750S / DR650S) can support connection to any WiFi hotspot which include your smartphone, mobile router or in-car imbedded internet. If your car is parked nearby your home or office, you can make use of the accessible WiFi hotspot. When your car leaves these premises, WiFi connection will be unavailable. Alternatively, you need a mobile router to be setup in the car so that the connection is always available. 2. Do I need a SIM card in the car? 3. What type of mobile router which is compatible for the cloud service? We had tested many mobile routers before the launch. To have faster and stable connectivity, we recommend using 4G/ LTE mobile router and we have the Car WiFi Kit which is fully compatible. 4. How can I hardwired the mobile router to ensure hassle free operation? We are offering the Car WiFi Kit which is compatible for BlackVue over the Cloud. This kit includes the 4G/ LTE Car WiFi Dongle, Power Supply Kit and installation service. If you need parking mode option, Car WiFi Kit will be connected to the Power Magic Pro or Cellink B battery which means your BlackVue will always stays connected to the Cloud even your car is parked. 5. How to get the SIM card? Please check with your telco for the availability of the additional SIM card and subscription. You can always apply additional SIM card to share the data from your current handphone line subscription. 6. How much data consumption for the cloud service? Network data is used only when you activate Remote Live View, Live Broadcast, Remote Backup and Playback. Push notifications consumes very low data which can be ignored. 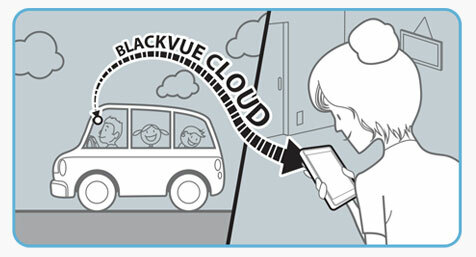 ​If you are near to your BlackVue, you can always use the direct WiFi connection instead of Cloud service. When you access Remote Live View from your BlackVue dashcam over the Cloud, your dashcam streams data to the Cloud server, which is then sent to your device. Use the table below to assess your data needs, based on your Live View usage estimate. Data usage is exactly equal to the Live View data usage (refer to the Live View tab)Explanation: when user starts a Facebook Live session, a single stream of data is sent from the BlackVue dashcam to the BlackVue Cloud server, and then to the Facebook server. 7. How does the push notification works? User can set the type of push notifications using the BlackVue app. Options are event notification for driving or parking, overspeed notification, entering or escaping the parking mode, motion detection notifications and etc. 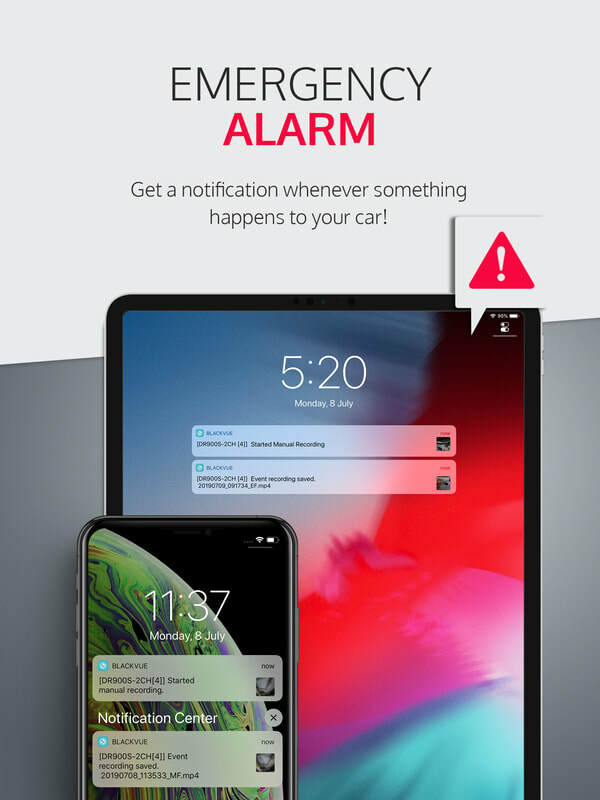 If you set the notification for event while in parking mode, BlackVue will send the push notification immediately to your smartphone upon detecting an impact. 8. What is included in my Free Cloud Account? ​Stream real-time video from your BlackVue. 1 BlackVue dashcam per account. ​100 downloads or replays of videos from the Cloud or the dashcam's SD card per month. 9. How to add dashcam and Live View time using the BlackVue app? You can add unlimited Live View time and register additional dashcams from the BlackVue app. To change the plan, you need to go to "Add Paid Features" in BlackVue app. This menu is accessed from the main menu of the app, and requires you to log in first, since the purchases are linked to your BlackVue Cloud account. 10. 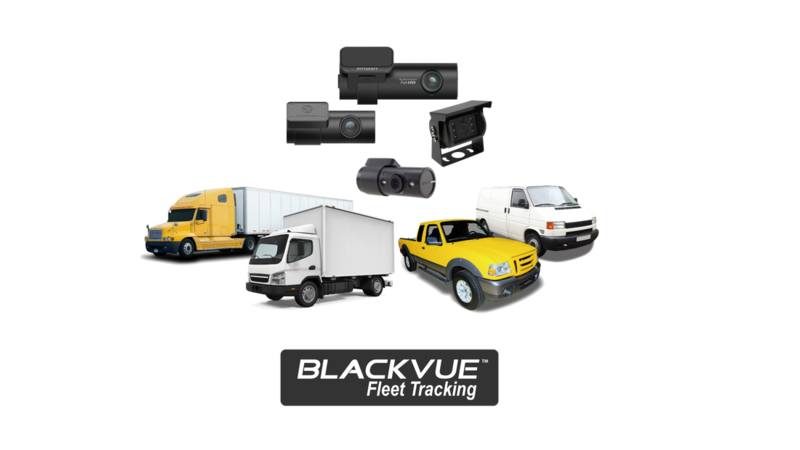 Which model of BlackVue is compatible with the Cloud service? 3) Newer batch of DR650GW series [DR650GW-1CH and DR650GW-2CH], to find out more about the compatibility, please check out here. 11) Will the files copied to the Cloud storage be deleted? Files copied to the Cloud will be stored on the servers for 90 days. After 90 days, they will automatically be deleted from the servers. Please backup any videos you want to keep to your smartphone or computer. 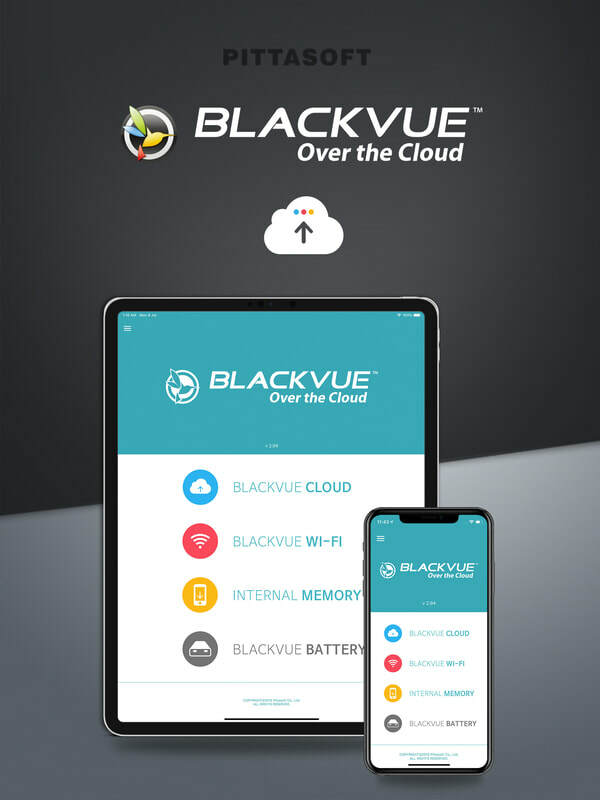 ​Since "BlackVue Over the Cloud" (cloud service) connection is depending on the wireless network (3G/ 4G/ WiFi), we cannot guarantee that the coverage is available all the time, there could be loss of connectivity at some area or period. Anyway, our cloud service has the option to notify the users when network connection or disconnection occurs. 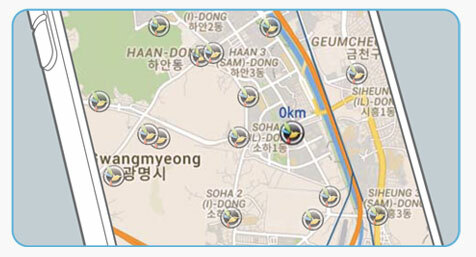 Need to track a fleet of vehicles? Register more than 3 dashcams under a single account and enjoy Unlimited Remote Live View, Geo-fencing, GPS Tracking History and more.